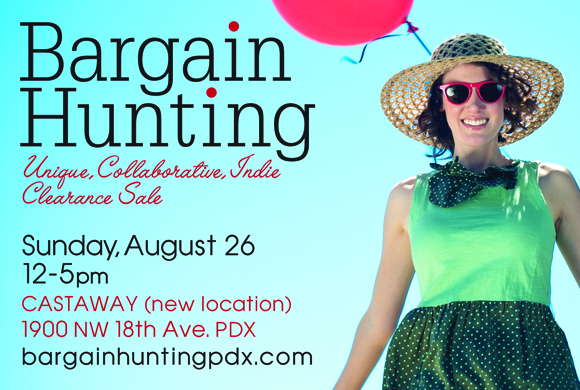 This Sunday Aug 26th, is the awesome shopping event that is – Bargain Hunting! This is a sensational shopping opportunity, with local indie designers selling their wares at rock bottom prices! You will find Clothing, Jewelry, handbags, and so much more. Come early for best selection.